Statue Details: Material : Teak Wood Height : 42 Width : 36 Depth : 24 Available : Make to Order....!!! 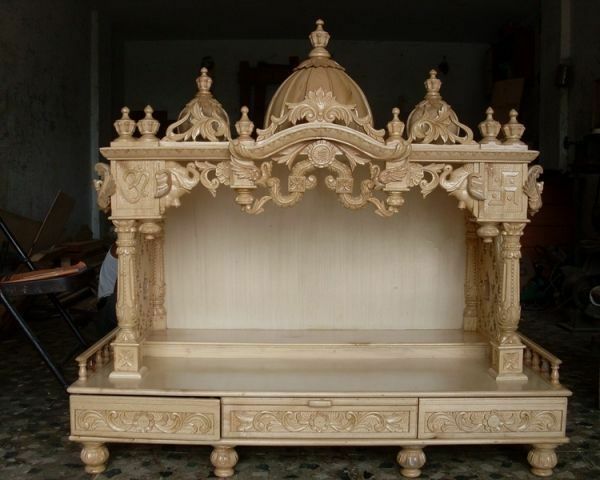 Brief Description: Wooden Temple for Home from Teak Wood How to order: You can fill up the enquiry form mentioning the delivery address. There are no charges for delivery withing India. Care: This piece do not required to take any special steps for clealnliness. All you need is a clean white cotton cloth to dust the peice. Please avoid using water or chemical.